Mount Vernon Lodge No. 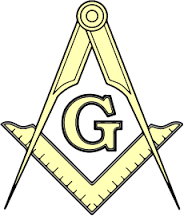 219 officer duties – Mount Vernon Lodge No. 219 A.F. & A.M. Attend the Division Leadership Conference, area and state schools, and the Grand Master official visit to the area. Ensure line officers attend as well. Notify the Lodge and visit the family of a fallen brother. Ensure Masonic Funeral is conducted properly and well attended by others in the Lodge. Fellowship Nights – generally 1st Monday of the month after ritual practice–other times? Remind Brethren to donate at dinners, breakfasts, picnic’s, etc.. Coordinate all actions needed for Masonic Funerals, to include assignments, ritual paraphernalia, and PRACTICE!!!!! !